By beginning his state of the city address quoting environmental activist David Suzuki, Mayor Berry Vrbanovic set the tone for the city’s future. The address outlined a number of initiatives that the city has in store for the coming years, most of which were linked back to the environment. “We are at a pivotal moment in our history. Our climate is getting warmer, wetter and more unpredictable every day,” Vrbanovic says. Chief among these initiatives is the announcement of a Corporate Climate Action Plan, to be reviewed by council next week. The plan outlines details to reduce the city’s greenhouse gas emissions by eight per cent by 2026. The mayor says the plan will be ambitious but achievable and will ensure Kitchener’s long-term sustainability. 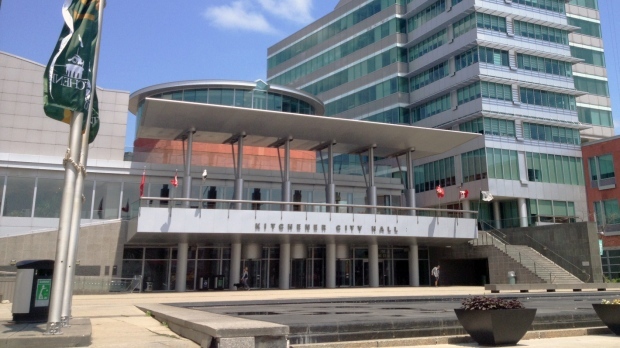 “Together, we can change for the good by turning our attention to making environmental leadership a priority for the City of Kitchener,” Vrbanovic says. He points to the city's plans to begin using more electric vehicles and sourcing biofuel to power its fleet, as well as retrofitting older buildings to make them more energy efficient. Moving forward, the city will also leverage its LED street light system, which Vrbanovic says has reduced greenhouse gas emissions by up to 300 tons and saved millions in annual energy costs. The city wants to accelerate its tree planting program as well. Making city travel accessible to everyone is a focus for the city, Vrbanovic says. The mayor explained that all age groups should be able to get around on whatever transportation they feel most comfortable. “I know I speak for my council colleagues when I say that the number one thing we heard from people as we knocked on doors late last year was the need to change how we move through our city,” Vrbanovic says. That includes extending a continuous five kilometre cycling network, piloting protected bike lanes and a pilot to lower speed limits in a residential neighbourhood. It also includes plans for a Dutch roundabout, containing dedicated space for cyclists, near Huron Heights Secondary School. In his address, the mayor says that the city couldn’t make all of these things possible without teamwork from its two-tier government. “Waterloo region is one of the best examples of effective and cooperative two-tier municipal governance in the province,” he says. He believes that residents across the region should have a say in the cities’ collective futures, despite reviews from the provincial government that could eliminate regional governments. 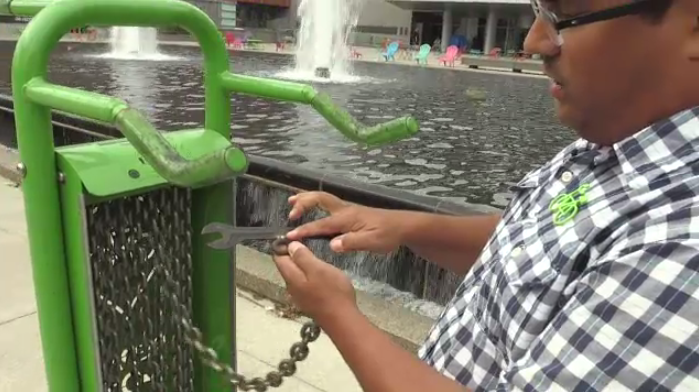 Tools have been attached to heavy metal chains in an effort to curb theft and vandalism.